The Serious Fraud Office (SFO) has confirmed that it is investigating Quindell’s ‘business and accounting practices’ as the company published revised annual accounts for 2014 showing a £312m swing from profit to loss in its Professional Services Division (PSD). 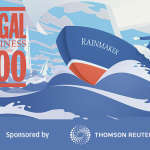 A busy US deal market saw rainmakers pack a bigger punch than ever at the world’s largest law firms but the contest remains tough for aspiring firms. 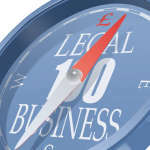 Legal Business separates the champs from the contenders. 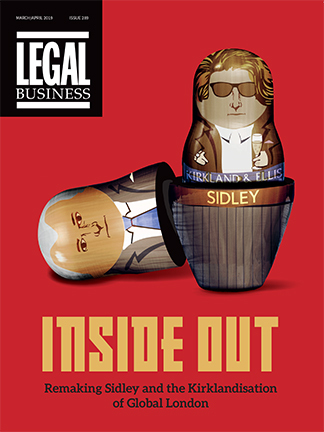 Linklaters managing partner Simon Davies chooses his words carefully when describing his partnership’s feelings on the City giant’s performance in 2014/15: ‘they appear content’. The Magic Circle collectively went into the financial year with considerable hopes of rekindling their momentum after a long grind through the post-banking crisis wilderness. US firm revenues continue to come through with Kirkland & Ellis posting a 6.6% increase in global revenues to $2.15bn in 2014, an increase from the previous year when turnover rose 4% to $2.02bn. Meanwhile, Squire Patton Boggs posted its first post-merger global revenues, coming in at $870.5m with $163m of this generated in the UK. Following a rollercoaster ride over the past few years, Shearman & Sterling has unveiled financial results showing moderate but steady growth in 2014 as profit per equity partner (PEP) rose 5.8% on 3% turnover growth. Meanwhile, Gibson, Dunn & Crutcher had its 19th year of consecutive revenue increases with a 6% lift to $1.47bn. Latham & Watkins‘ global strategy has paid off with its 2014 revenues surging by 14% to $2.61bn in 2014 and making it the largest law firm in the world, an achievement managing partner Bill Voge (pictured) puts down to the recovery of the global M&A market and to clients increasingly using multiple offices across its ‘global footprint’. Following Weil Gotshal & Manges’ impressive profit increase, other US firm numbers continue to paint a positive picture Stateside with Baker Botts recording 11% revenue growth while Dechert, Goodwin Procter and McDermott Will & Emery all see increased turnover. Consolidating firms are jostling for position in the race to dominate international and UK markets. But even amid fairer conditions, the course to victory is uncertain.